Need a Dynamic Speaker on Canadian Real Estate? Book Navtaj Chandhoke as a Speaker Presenter for your next Real Estate Event. 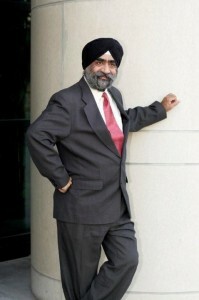 Navtaj Chandhoke is a Canadian Real Estate investor, top notch Coach and author. He is dynamic speaker (some say he just likes to talk from his heart with great sense of humor and experience). He started investing in Canadian real Estate when the interest rates were 22.75% and Canadian Real Estate values were dropping daily. Wow ! Usually Real Estate Investors especially speculators and gamblers intend to run for their life. He can show you How to build wealth in Canadian Real Estate investments regardless which way the market is heading. He is the founder of Canada’s largest Real Estate Investors network with over 17,600+ members known as Professional Real Estate Investors group (PREIG) Canada. Navtaj start coaching and teaching fellow Canadians in Toronto since November 1993 and start teaching across Canada from 2008 upon huge demand.World Wealth Builders provides advance training for Canadian Real Estate Investors using creative methods.Forgivable Down payments, grants, tax credits are few high lights.Using Tax dollars to acquire Canadian Real Estate at huge discount sources are disclosed and Canadian Real estate investors are required to witness as part of the Canadian Real Estate investment education. His strength is how to invest with tax dollars and acquire 30-90% below market value Canadian Real Estate and use bail out, handouts and Government grants. As one of Canada’s leading Real Estate Expert, Navtaj Chandhoke has a unique and creative approach to Real Estate. He has been investing in Canadian Real estate from more than 30 years. Even RCMP have commended him about grow up houses. He has share the stage with major icons, Canadian Billionaires,Millionaires and tycoons of Canadian Real Estate investments including Kevin O’Leary (Dragons den), Jay Abrahim and Stephen Young. Do not forget to ask how you could make money by booking Navtaj Chandhoke as guest Speaker. No Money Down Canadian Real Estate Seminar in Canada and become a Canadian Real Estate Apprentice.